Premium VDE combination pliers. Certified to VDE 0682/201:2005 01 & IEC 60900:2004. GS approved. DIN ISO 5746. VDE certified and individually tested to 10,000V for complete safety when working on live equipment up to 1000V. Drop forged chrome vanadium steel for strength and durability. Extra long induction hardened and precision ground cutting edges for high cutting performance. Ergonomic dual component handles. Certified to VDE 0682/201:2005 01 & IEC 60900:2004. GS approved. DIN ISO 5746. 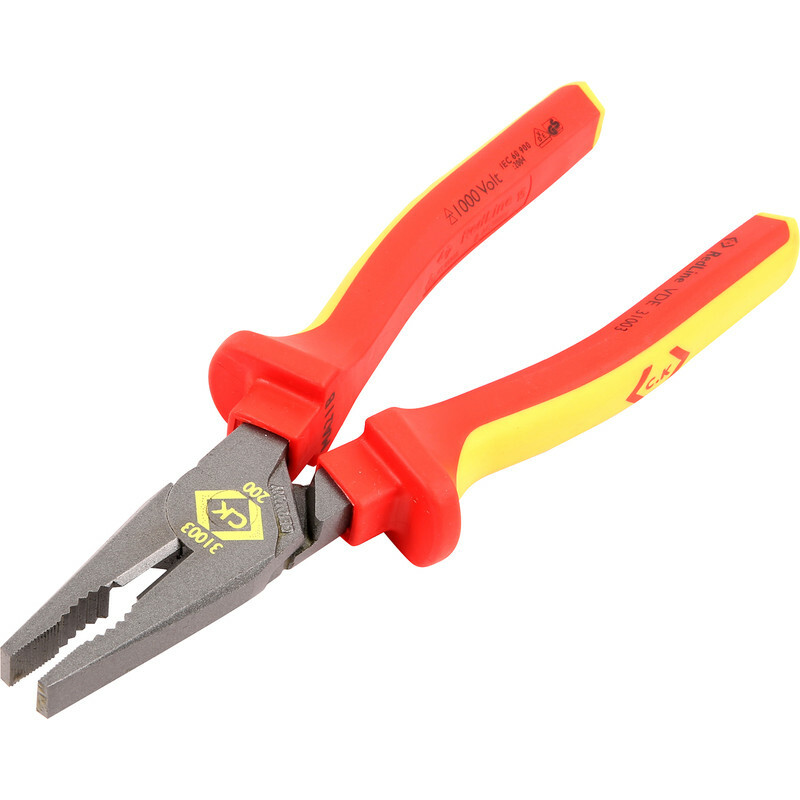 C.K Redline VDE Combination Pliers 205mm is rated 5.0 out of 5 by 2. Rated 5 out of 5 by Magicmania from Awesome quality pliers C.K. Make some of the best pliers on the market. Rated 5 out of 5 by Woodhead from Nothing comes close to CK Excellent quality still. Tried cheaper alternatives in the past but regretted it. Worth the extra cost. Stay sharp much longer & a joy to use.